The spell collections contain 110 cards that add additional spell copies of the base box to give you even more possibilities to your game. Mage Wars is a game that combines the mechanisms of card and figure games to create this type of confrontation. Be careful this game is an extension of Mage Wars and cannot be played alone. To be able to play it you must have a copy of the game Mage Wars . 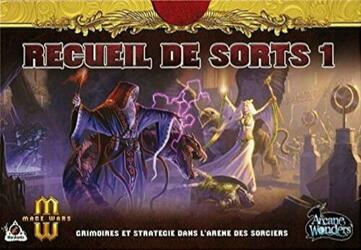 Contents of the box : 110 cartes.